Are you a developer and uses Android ADB debugging? If yes then there could be a problem because the Malware which is affecting many devices can be on your computer too! Downloading from Google Play Store is safe, that's why Google insist their users to download only from Google Play Store because they have their internal Anti-Virus which scans all the .APKs (Applications) that you install. The Most popular Anti-Virus and Anti-Malware company Symantec has released details about the Malware that is spreading all over the world. They wrote about the Malware and what the Malware do. The Malware is system service type of Malware which installs itself and has got the name of Trojan.Droidpak. The Malware is new but has already affected thousands of PCs. 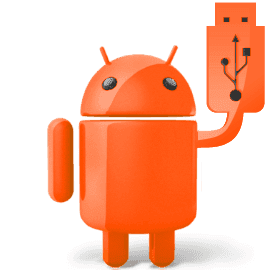 At first, the Malware downloads the ADB (Android Debugging Bridge) to use USB Debugging on your device and waits till the device connects. If it find a connected device, it automatically downloads the Android Application Package . (APK) files and installs on your computer via USB by using Android Debugging Bridge, so you don't even get to know when the APK got installed and you are completely unaware that your device got installed with that Application. The Malware pushes the application package by sideloading so their won't be anything on your screen and you won't get to know. But people who don't use their devices for installing applications and installing them on their devices by ADB or uses their mobile phone for development related purposes, they are in the problem but normal users need not to worry. The malicious application is a kind of Android.Fakebank.B virus which installs itself on the devices and is in the shape of Google Play Store (it's logo seems to be Google Play Store) and when you will open it, it will look for an Korean online banking applications and deletes those applications and prompts the users to installs fake or malcious applications from the fake Google Play Store that can spread viruses on your mobile phone. Also the applications may stop recieving messages on your mobile phones and send them to the banks for some purposes. Currently the malware targets only the Korean banks but soon it may move forward to US, India, Canada etc. 's banks too. Also this may cause some big problems. Download any popular antivirus like Avast or AVG to your mobile phone by original Google Play Store. Perform a full scan of your mobile phone. Remove the virus from your computer! Always use an Anti-Virus program on your computer like Norton, Avast, AVG etc. Make sure your Firewall is active and also make sure their is Internet Security in your Anti-Virus. Always scan your computer once in a week or month. Scan your PC with Anti-Malware or Anti-Virus program and remove the virus from your PC. Don't enable USB Debugging on your mobile phone unless you don't need it!